Tomorrow night, the Hollywood Foreign Press will honor the year’s best in film and TV at the 70th Annual Golden Globes. To get you prepared for the upcoming ceremony, we’re posting our own predictions and proclamations, taking a look at who will win, who should win and who got snubbed. Don’t forget to join us back here tomorrow night at 8 p.m. EST as we liveblog the show, keeping you informed of all the winners and commenting on all the broadcast’s highlights (of which, considering this year’s hosts are Tina Fey and Amy Poehler, there are sure to be many). 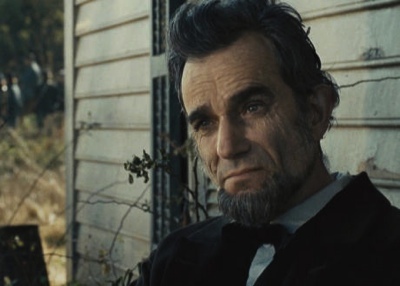 There’s been awards buzz surrounding Lincoln for far longer than it’s been out in theaters; as soon as word that Daniel Day-Lewis was cast in the Steven Spielberg project, it was pretty much a done deal. Day-Lewis and Spielberg are both awards show darlings, and when you throw in a few other themes that frequently get rewarded at shows like these (biopics, Civil War drama), it seems like Lincoln will be the one to beat. As soon as Daniel Day-Lewis stepped into the role of Lincoln, it seemed like the question wouldn’t be whether or not he’d rake in a bunch of awards, but rather whether or not his performance would live up to the hype and be deserving of the accolades. Thankfully, it does (see below).